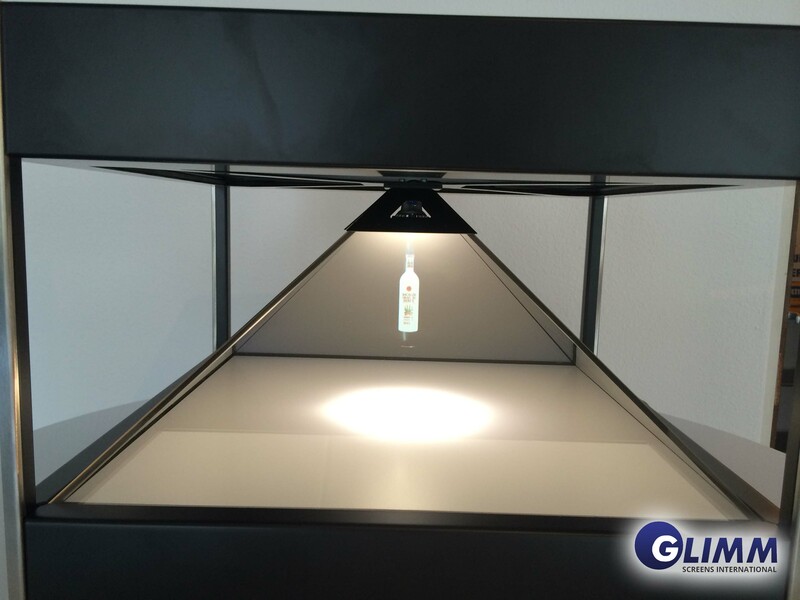 The Glimm 3D pyramid™ is a powerful way to showcase your product. 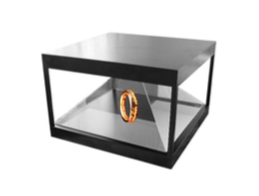 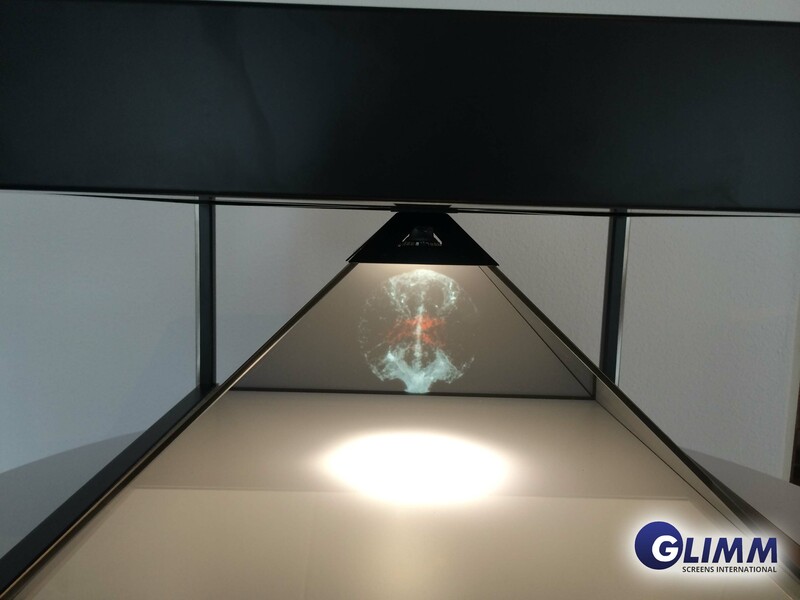 It is a mixed-reality display designed to present products or artifacts in combination with free floating holographic video elements. 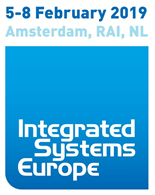 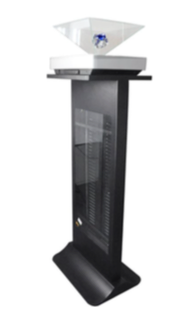 There are multiple setups available so feel free to contact us for more information. 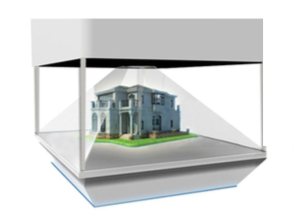 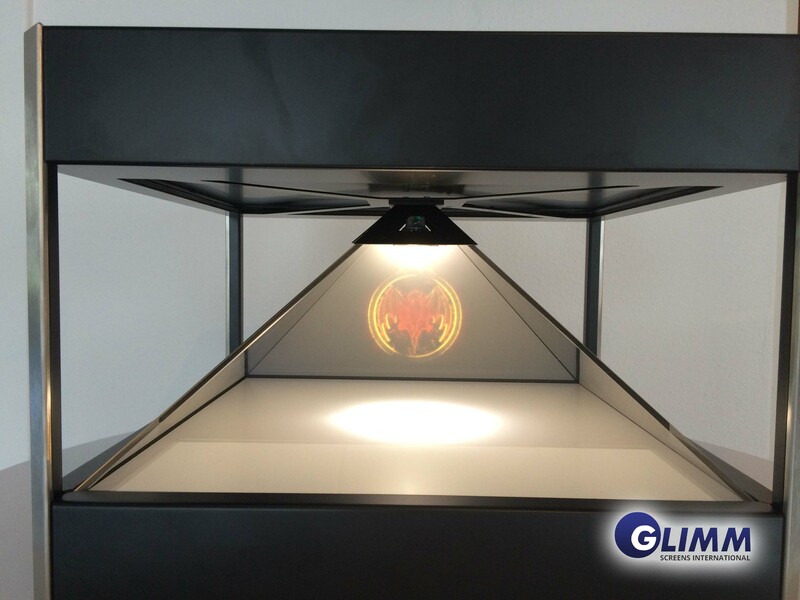 The Glimm 3D Pyramid display can combine holographic 3D content with physical products. 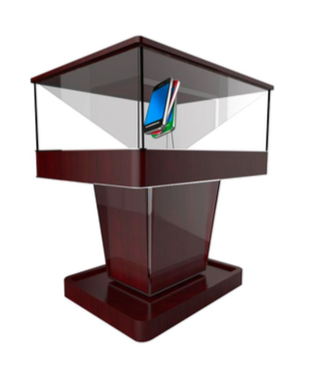 This elegant display shows holographic video content on different sides at the same time. 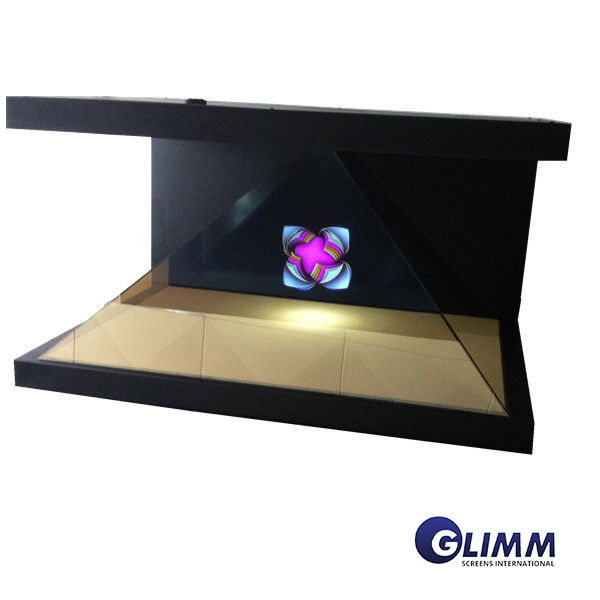 Holographic pyramids are a powerful way to showcase your product. 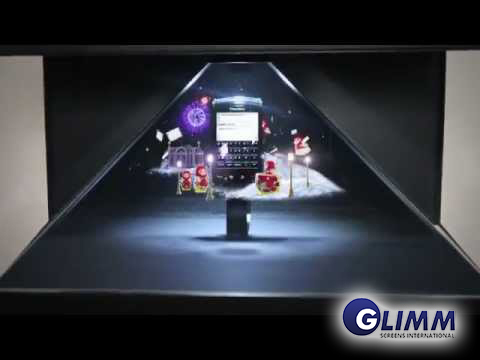 It is a mixed-reality display designed to present products in combination with free floating holographic video elements.